HI EVERYONE! I apologize for my absence for the past week or so; last week was just a crazy week and if you've been following me on Instagram, Twitter, or Facebook, then you'd know that my cousin's wedding was in Vegas as well, so that prevented me from doing tons of stuff for my blog as well as far as actual blogging. One thing that I was able to do in Vegas was maintain the facial routine that I've been using for the past couple of months! I have been SO blessed to get to work with Proactiv for the past few months on a project to improve my skin! 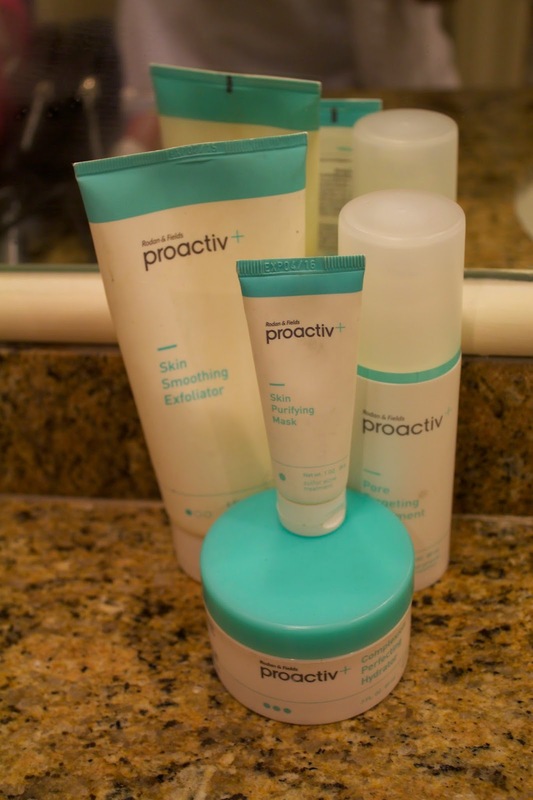 Proactiv is a brand that I've been hearing of on tv for so many years and through a cousin who used it when he was in high school 10 years ago too, so I was excited to finally try it out. I received 4 products of theirs, 3 that go together in a 3 step routine and a 4th one that can be used in conjunction with the three: the Skin Smoothing Exfoliator, the Pore Correcting Treatment, the Complexion Perfecting Hydrator, and the Skin Purifying Mask. I will say that I don't have terrible acne to begin with, but sometimes I will have breakouts where I have a few big pimples on my face that are pretty embarrassing. I also have a lot of acne scars especially on my cheeks from previous breakouts. There isn't a major difference, but you can definitely see that on my right cheek (middle photo), although I still have acne scars, they have definitely faded quite a bit since when I first started using Proactiv. When I first started using it, however, my skin dried out A LOT (I have combination skin) and I broke out a lot too. 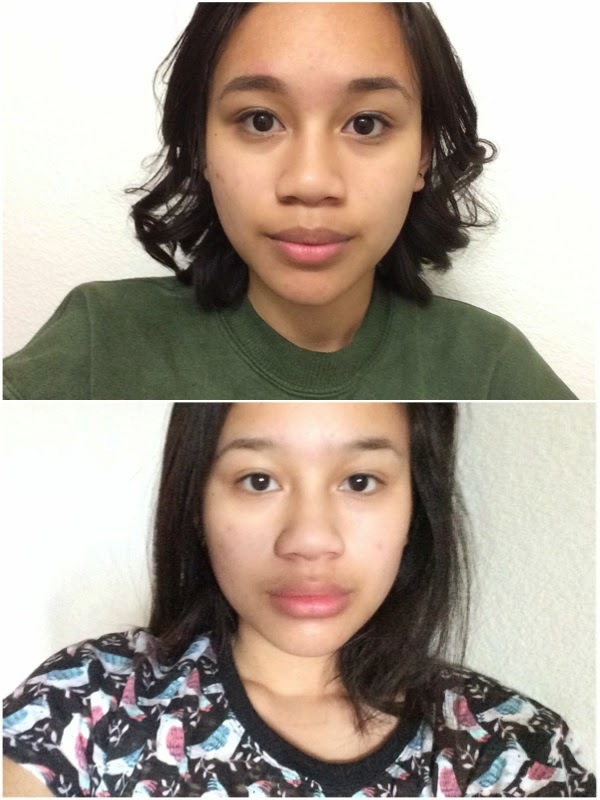 During the times when I had breakouts, Proactiv did a great job at getting rid of them within a few days. And even though my skin dried up (winter probably also contributed to it), the Complexion Perfecting Hydrator helped my skin feel lively. Having a 3 step process to clearing my skin with 3 different products may seem like a lot, but it really isn't. It just takes some getting used to. 1. Use the Skin Smoothing Exfoliator all over my face then wash it off. 2. Use the Pore Targeting Treatment on the parts of my face with acne on it. It's used like a medicine so you don't wash it off. 3. Use the Complexion Perfecting Hydrator to moisturize. It's that simple! For a bonus step, you can use the Skin Purifying Mask and leave it on for 10 minutes or spot-treat with it overnight. 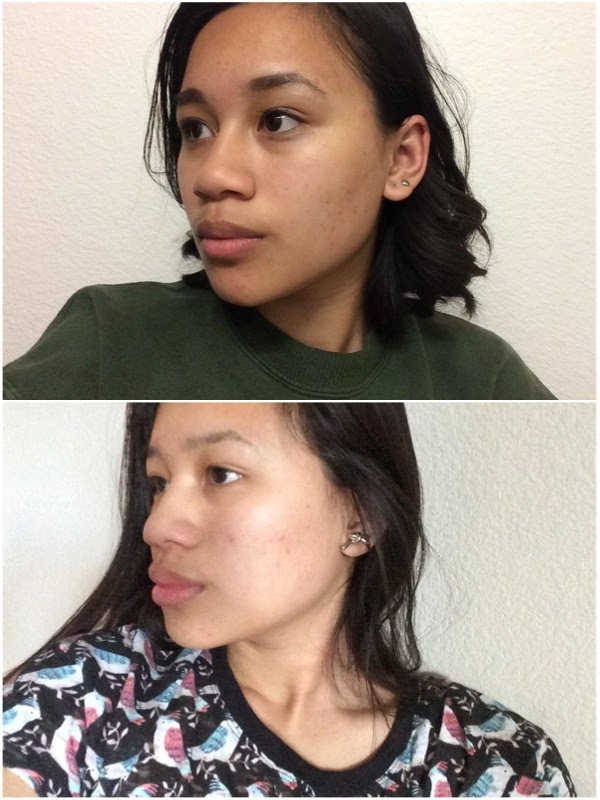 Proactiv has helped control my breakouts and even fade some of my acne scars so I'm pretty happy with the way my skin has turned out as a result. 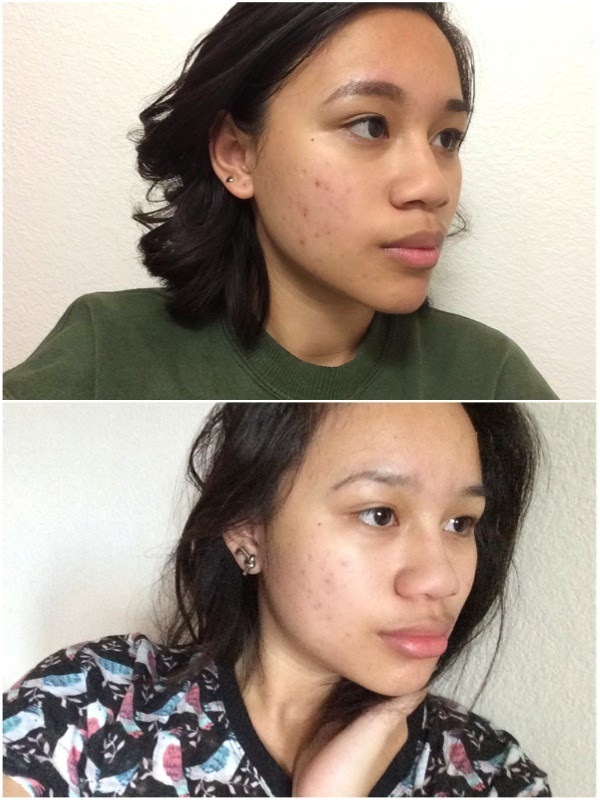 If you have acne like mine or worse, I definitely recommend giving Proactiv a try! This post was sponsored by Proactiv. All opinions are my own. I definitely ended up dry a lot in the begininng, but I realized that using the Hydrator as a moisturizer really helped, especially if I applied it as needed. 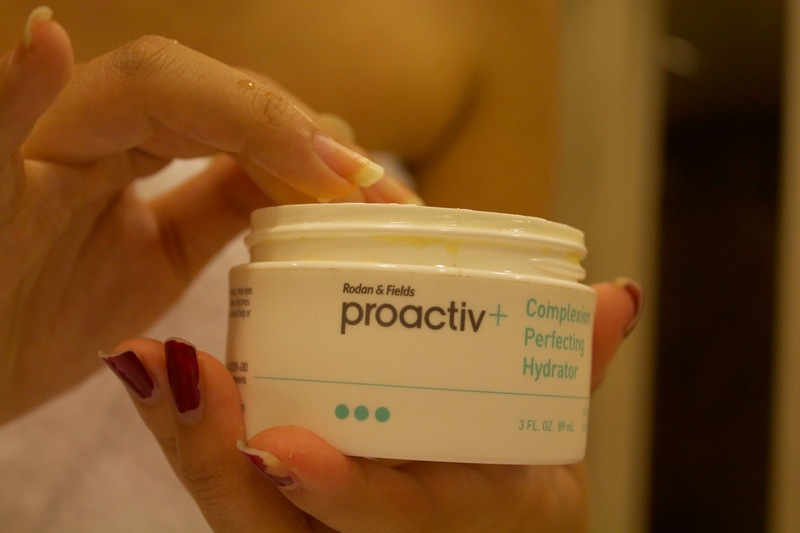 And Proactiv is definitely not an instant product--my acne actually seemed to have worsened the first month or so that I was using it, and it was only in the past few weeks that I actually felt like I was seeing results.